BELLEVUE, Wash. & OVERLAND PARK, Kan.--(BUSINESS WIRE)--T-Mobile US (NASDAQ: TMUS) and Sprint Corporation (NYSE: S) today announced that, pending the close of their merger, they have selected the Central Valley in California as the area for the third of five new Customer Experience Centers to serve New T-Mobile customers. The facility will create approximately 1,000 local jobs. This communication contains certain forward-looking statements concerning T-Mobile, Sprint and the proposed transaction between T-Mobile and Sprint. All statements other than statements of fact, including information concerning future results, are forward-looking statements. These forward-looking statements are generally identified by the words “anticipate,” “believe,” “estimate,” “expect,” “intend,” “may,” “could” or similar expressions. 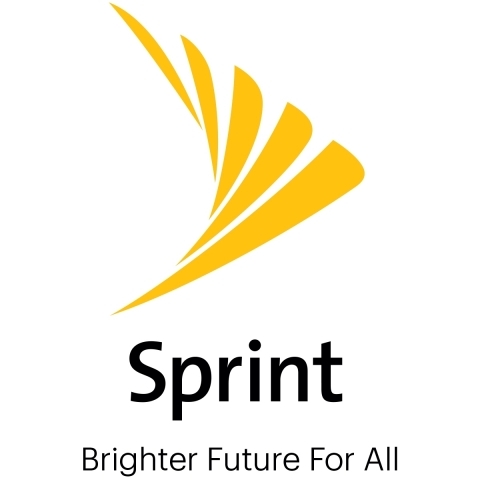 Such forward-looking statements include, but are not limited to, statements about the benefits of the proposed transaction, including anticipated future financial and operating results, synergies, accretion and growth rates, T-Mobile’s, Sprint’s and the combined company’s plans, objectives, expectations and intentions, and the expected timing of completion of the proposed transaction. There are several factors which could cause actual plans and results to differ materially from those expressed or implied in forward-looking statements. Such factors include, but are not limited to, the failure to obtain, or delays in obtaining, required regulatory approvals, and the risk that such approvals may result in the imposition of conditions that could adversely affect the combined company or the expected benefits of the proposed transaction, or the failure to satisfy any of the other conditions to the proposed transaction on a timely basis or at all; the occurrence of events that may give rise to a right of one or both of the parties to terminate the business combination agreement; adverse effects on the market price of T-Mobile’s or Sprint’s common stock and on T-Mobile’s or Sprint’s operating results because of a failure to complete the proposed transaction in the anticipated timeframe or at all; inability to obtain the financing contemplated to be obtained in connection with the proposed transaction on the expected terms or timing or at all; the ability of T-Mobile, Sprint and the combined company to make payments on debt or to repay existing or future indebtedness when due or to comply with the covenants contained therein; adverse changes in the ratings of T-Mobile’s or Sprint’s debt securities or adverse conditions in the credit markets; negative effects of the announcement, pendency or consummation of the transaction on the market price of T-Mobile’s or Sprint’s common stock and on T-Mobile’s or Sprint’s operating results, including as a result of changes in key customer, supplier, employee or other business relationships; significant transaction costs, including financing costs, and unknown liabilities; failure to realize the expected benefits and synergies of the proposed transaction in the expected timeframes or at all; costs or difficulties related to the integration of Sprint’s network and operations into T-Mobile; the risk of litigation or regulatory actions; the inability of T-Mobile, Sprint or the combined company to retain and hire key personnel; the risk that certain contractual restrictions contained in the business combination agreement during the pendency of the proposed transaction could adversely affect T-Mobile’s or Sprint’s ability to pursue business opportunities or strategic transactions; effects of changes in the regulatory environment in which T-Mobile and Sprint operate; changes in global, political, economic, business, competitive and market conditions; changes in tax and other laws and regulations; and other risks and uncertainties detailed in the Form S-4, as well as in T-Mobile’s Annual Report on Form 10-K for the fiscal year ended December 31, 2018 and in its subsequent reports on Form 10-Q, including in the sections thereof captioned “Risk Factors” and “Cautionary Statement Regarding Forward-Looking Statements,” as well as in its subsequent reports on Form 8-K, all of which are filed with the SEC and available at www.sec.gov and www.t-mobile.com. Forward-looking statements are based on current expectations and assumptions, which are subject to risks and uncertainties that may cause actual results to differ materially from those expressed in or implied by such forward-looking statements. Given these risks and uncertainties, persons reading this communication are cautioned not to place undue reliance on such forward-looking statements. T-Mobile assumes no obligation to update or revise the information contained in this communication (whether as a result of new information, future events or otherwise), except as required by applicable law.